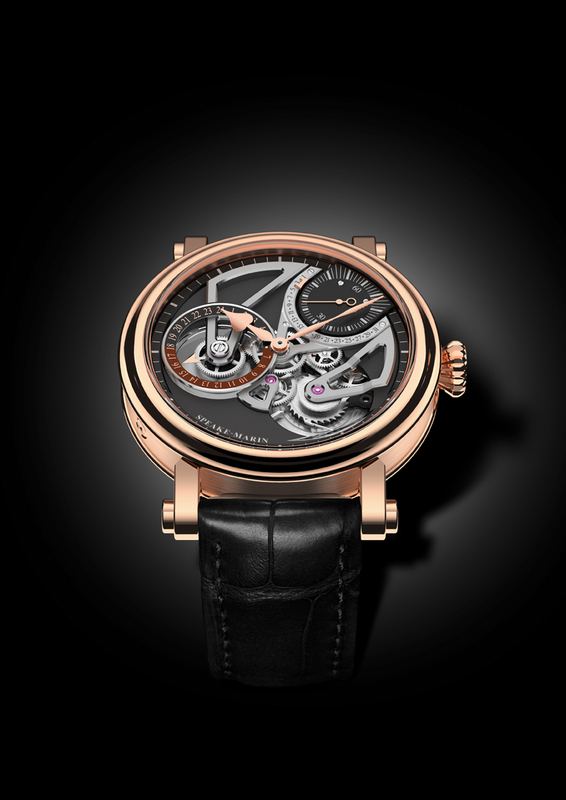 Angelico – 10th anniversary timepiece, tourbillon with long detent escapement, cable type fusee transmission system. It took six years for Christophe Claret to develop this very sensitive movement. The double mainspring barrel is connected to the fusee via a cable, instead of a chain, to optimize efficiency and increase the power reserve (around 72 hours). Instant jump dual time displaying day/night indication. The minutes are displayed via a peripheral hand ornated with a precious stone. 10 pieces in pink gold, 10 in titanium. 238,000 CHF for the pink gold, 218,000 CHF for the titanium. For the ladies – Margot Velours, one of my favorite watches. 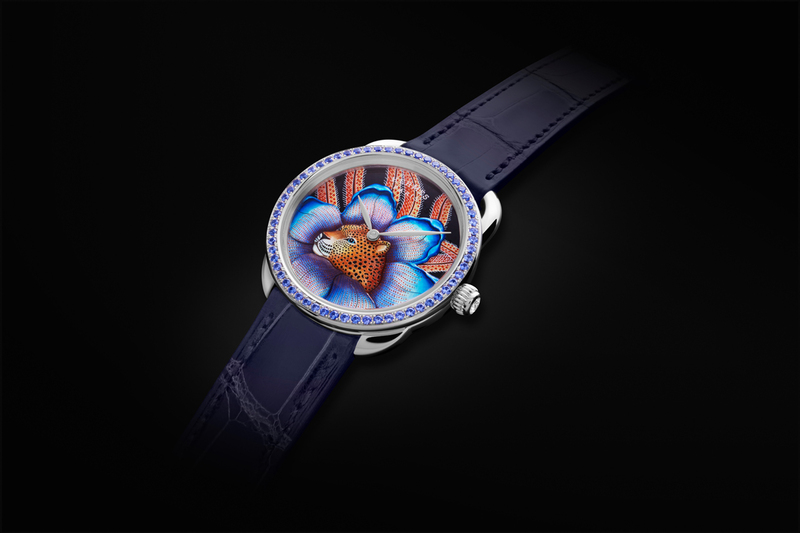 As in the previous models, the wearer can play the Effeuiller la marguerite game – he loves me, he loves me not. Strap in blue alligator with a velvet touch. The manufacture has developed some 120 calibers for 60 brands. This is truly a manufacture, comprising 32 skills, and everything is done in-house. One&Two collection comes with two novelties – Academic Full Moon is a romantic complication in a hectic life (this is the watch for me): alternation of an orange and a white moon, following natural cycles. 20 pieces for each diameter. And a Dual Time, openworked, retrograde. Their first watch with local time and home time indications. Vintage – in this range they launched the London Chronograph Bronze, their first bronze case. Too bulky for my taste. 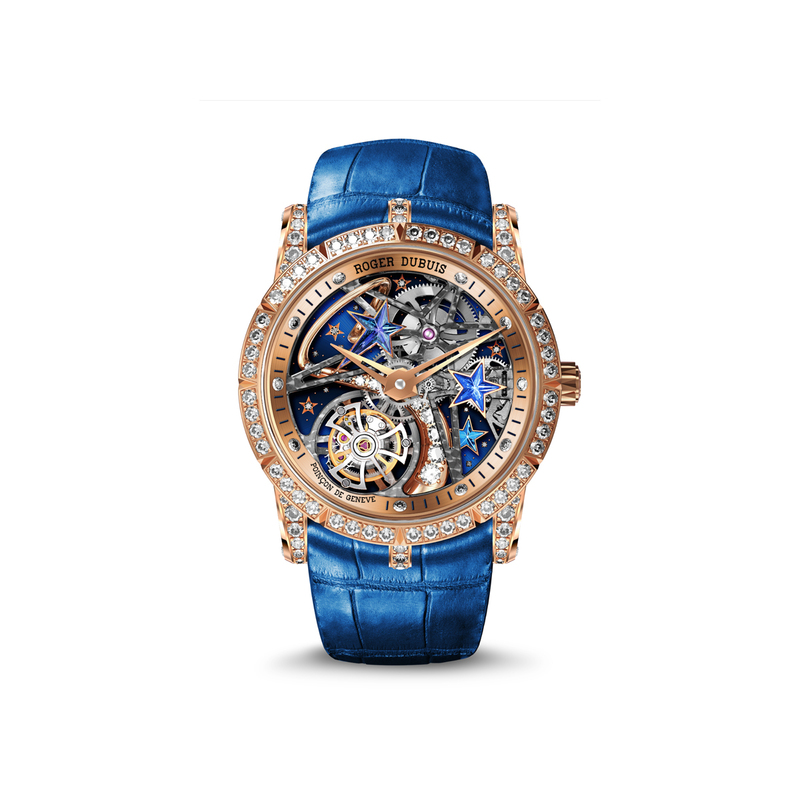 In the complications range, they are presenting Légèreté, the first minute repeater ever with a sapphire case (as a side note, everybody seems to be doing sapphire cases at this SIHH). Minute repeater and flying tourbillon, unique piece. H20 Time is fluid – this message surrounds the flange of this new piece. 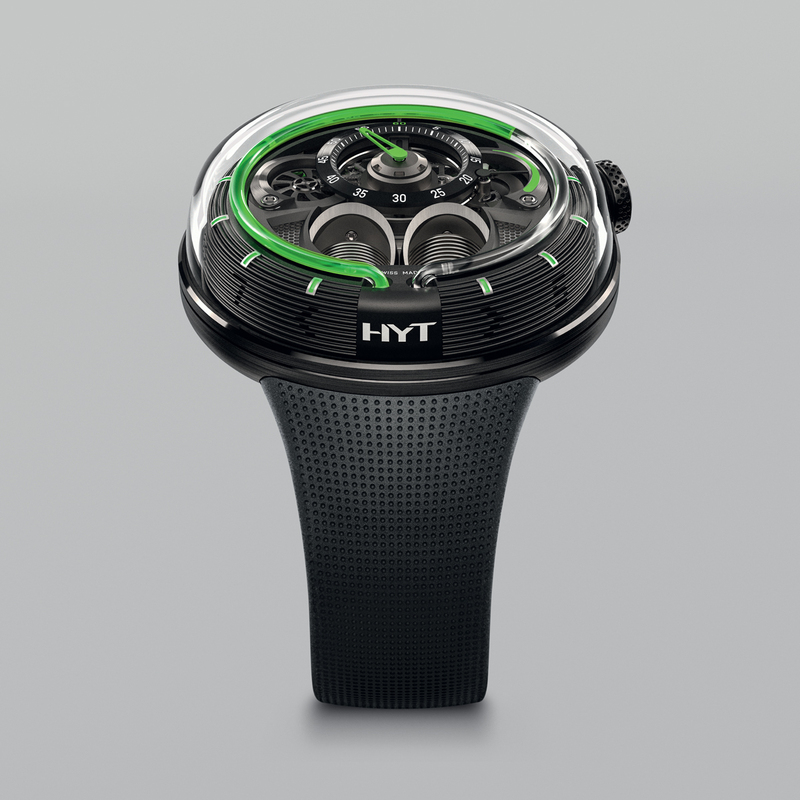 HYT believes the saying that No man ever steps in the same river twice – it is not the same river and he is not the same man. So this year they want to underline that time is indeed fluid. The mechanical hand wound movement was developed with Audemars Piguet Renaud et Papi. 15 pieces in yellow gold, 125,000 CHF Aane 15 pieces in steel, 115,000 CHF. Diameter is 51 mm – not for the faint of heart. 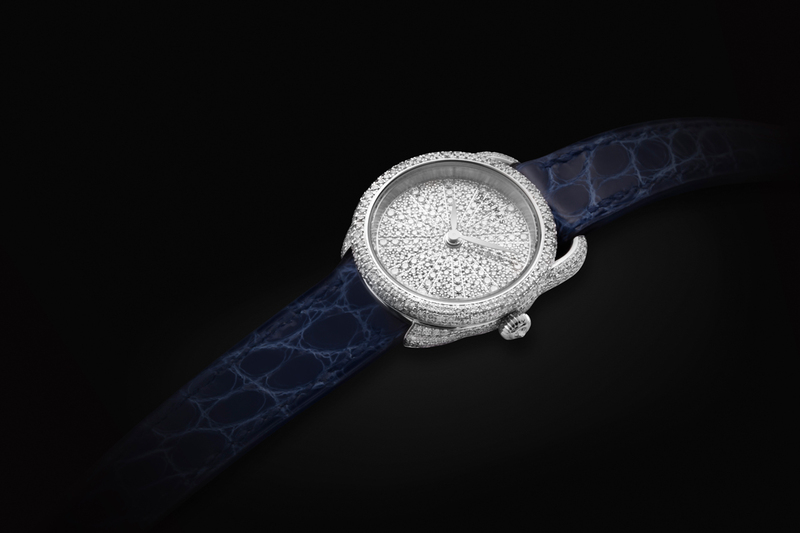 The full pave H0 – 1,206 diamonds, 89,000 CHF. 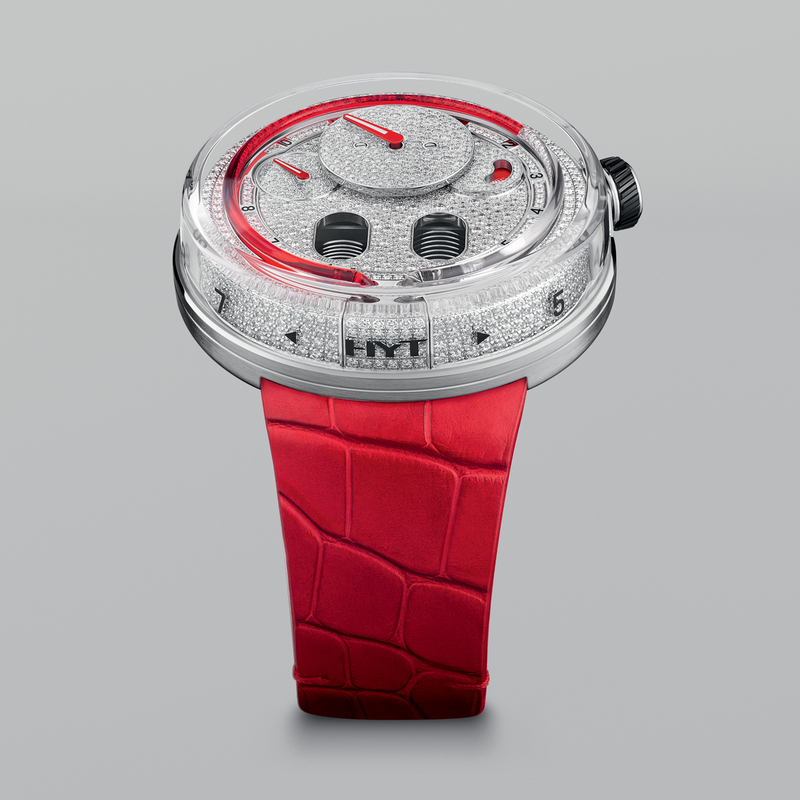 HYT says we are incapable of resisting diamonds for genetic reasons – apparently, we are wired to search for water and their scintillating beauty signals to our brain about water and life. 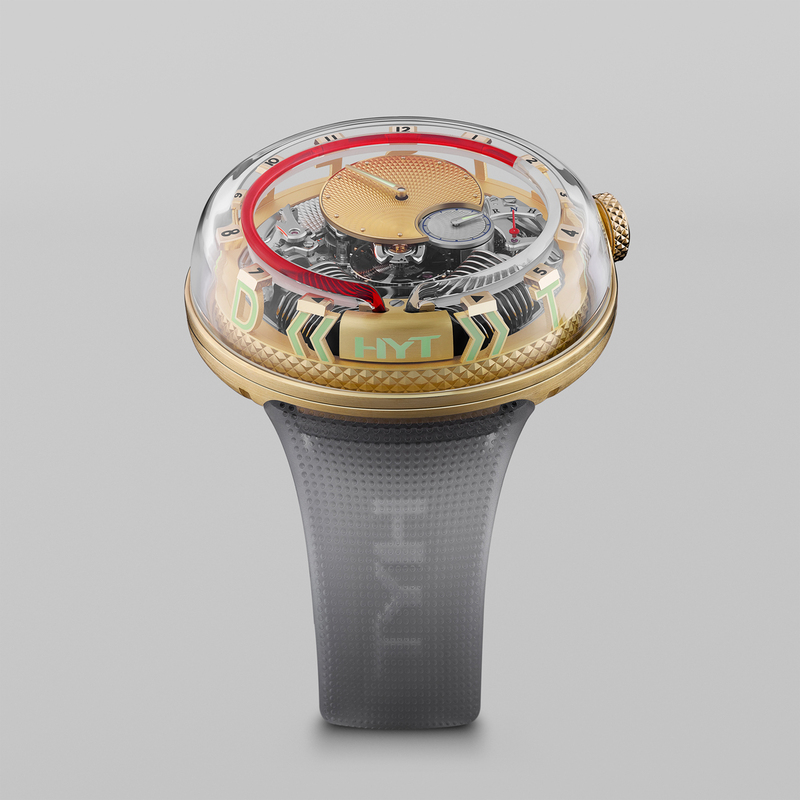 H0 Time is precious – this is a watch that HYT say displays 63 facets of time, lasercut in silicone. 50 pieces for 49,000 CHF each. I must say this is the first time ever I have taken a liking to HYT pieces and I am very happy about that. They did a lot of streamlining lately – only five collections left out of twelve. Sport, Classic, Ladies, Spirit of Mountain Exploration, Spirit of Sophisticated Elegance. Their “hero” products are 1858, Star Legacy, TimeWalker and Boheme (ladies). Montblanc 1858, within the Spirit of Mountain Exploration. 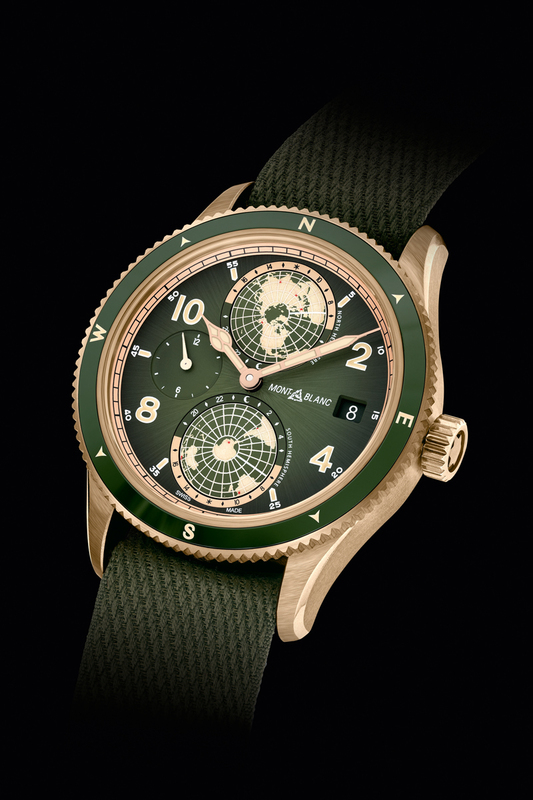 Green is their new black – therefore their Green Khaki Capsule: 1858 automatic, a chronograph with a bronze case below 5,000 euros and the Geosphere Green Khaki, in a limited edition, with a NATO strap. 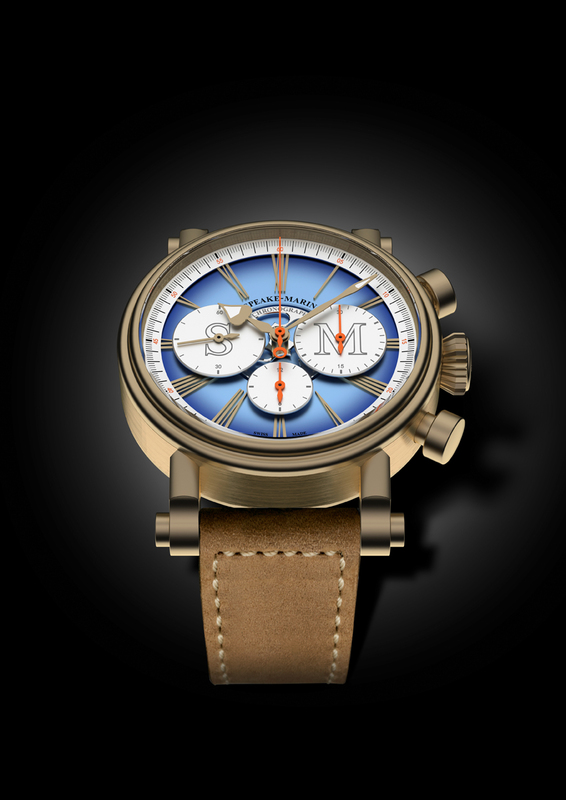 They also launch a new Minerva movement for the 1858 Split Second Chronograph limited edition (32,500 euros). 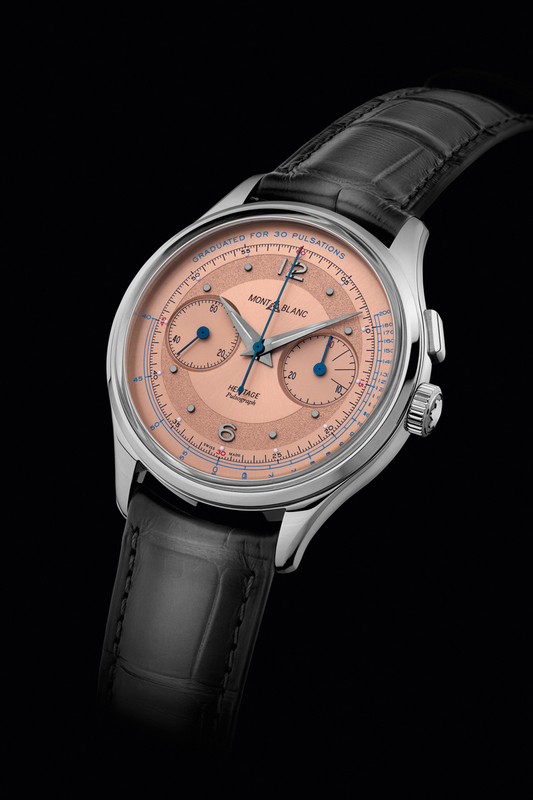 In the Heritage collection Montblanc introduced a new monopusher chronograph, an automatic in a 40 mm steel case for around 2,000 euros, a day date for 2,450 euros and a GMT for 2,700 euros. 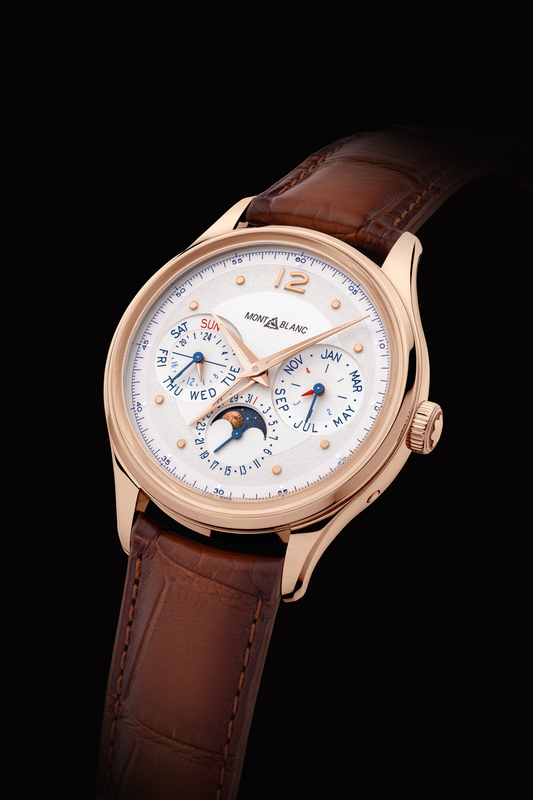 A perpetual calendar is deemed as a collector’s piece by Monblanc (it looks like most SIHH brands have rediscovered the perpetual calendar). 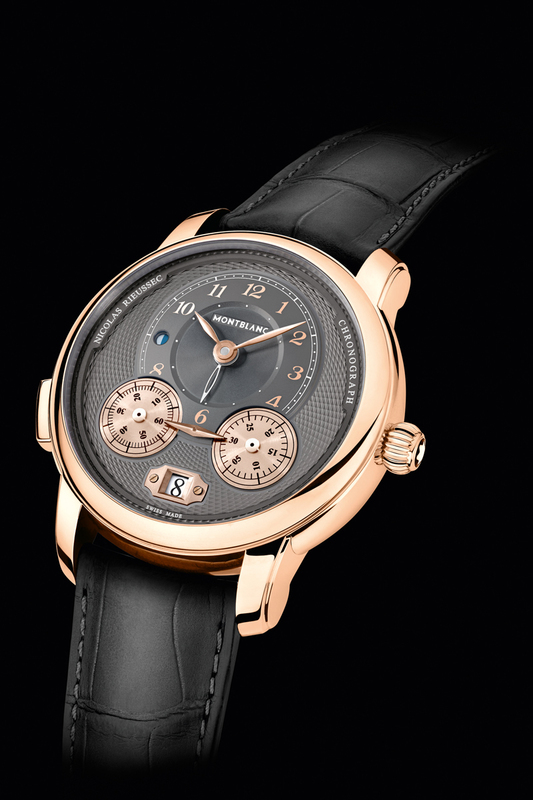 This Monblanc version can be adjusted by the crown and the brand also introduced an anti-mismanipulation system for the mechanism during the date change sensitive period. 40mm case for 24,900 euros. 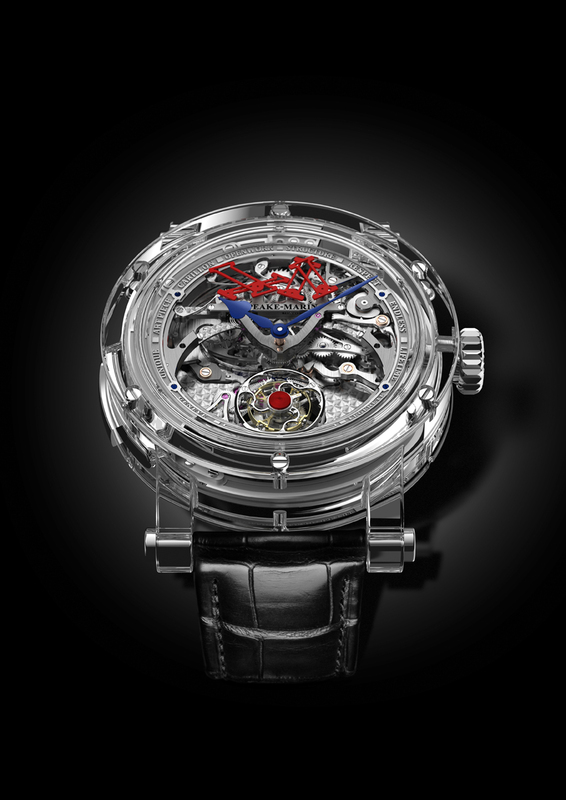 I liked the 40mm Pulsograph, with a Minerva caliber and hand-finished parts, 100 pieces at 28,000 euros. New feminine line – Galop d’Hermès, a collaboration with a young American designer. He designed the watches for today’s ladies, who are moving, dynamic, they know what they are doing. Femininity today. 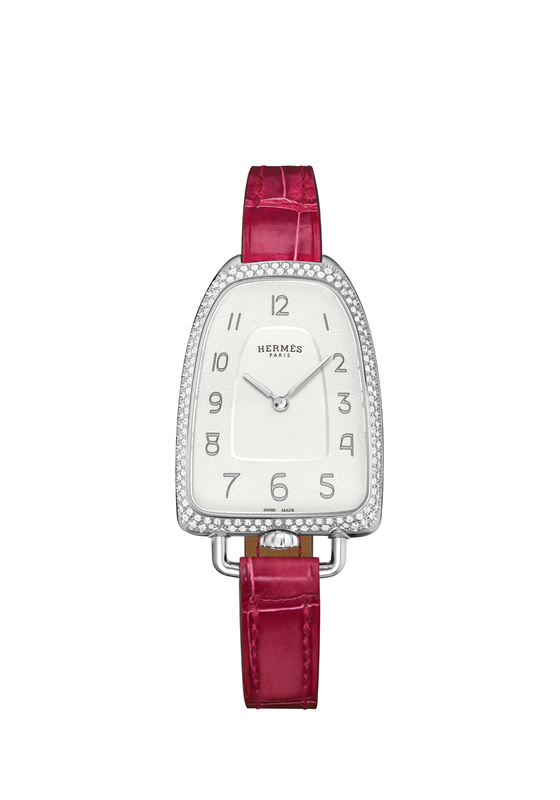 Hermès is about having your head in the stars and your feet on the ground – Jean-Louis Dumas. 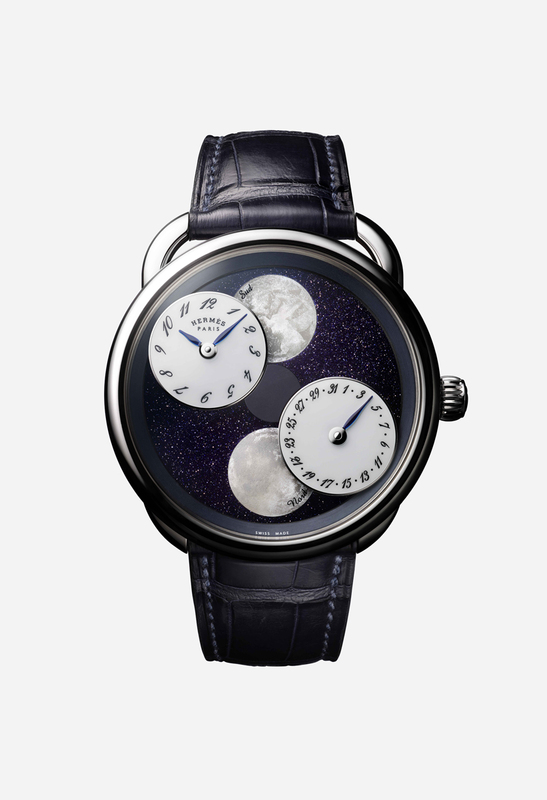 Arceau L’Heure de la Lune – the first big launch by Hermès. They wanted to put the moon in the center of the watch. The hours and minutes are almost an afterthought. Two moons – southern and northern. 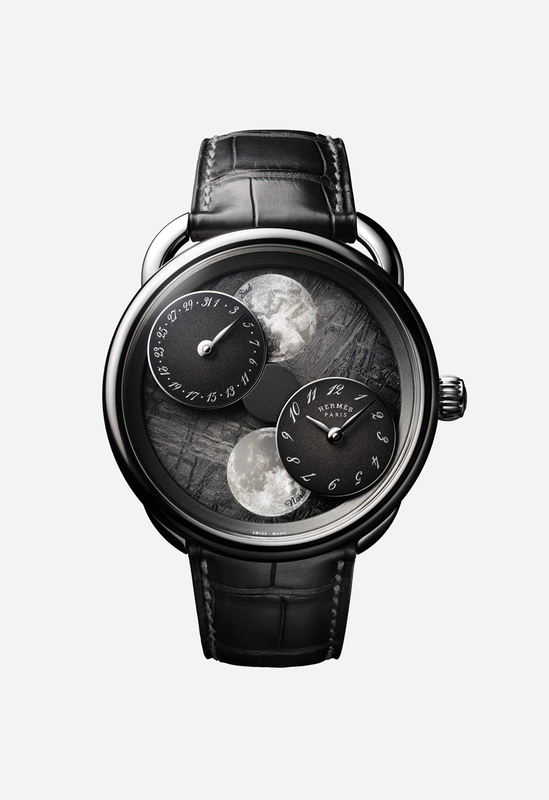 Hermès sees horses in the moon, hence the southern moon with a depiction of Pegasus. Two dials – aventurine (26,000 CHF) and meteorite (23,000 CHF), 100 pieces each. AWOOOOO is their wolf watch. Beautiful piece, only 8. The wolf depiction is wonderful. 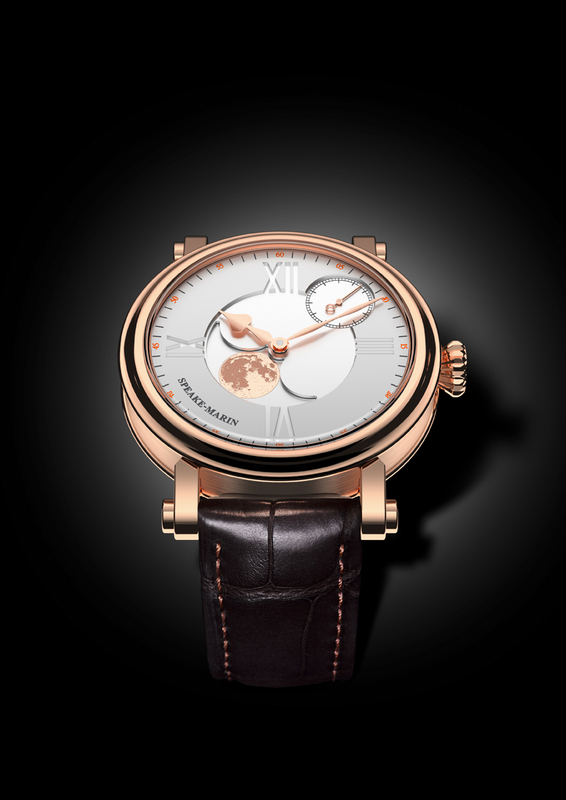 Slim d’Hermès has a new model in the range, Carreve – a moon drawn from a Shakespeare poem, from a Midnight Summer’s Dream. 6 pieces. Galop d’Hermès – new feminine range. It is curvaceous, bold, direct, to the point. 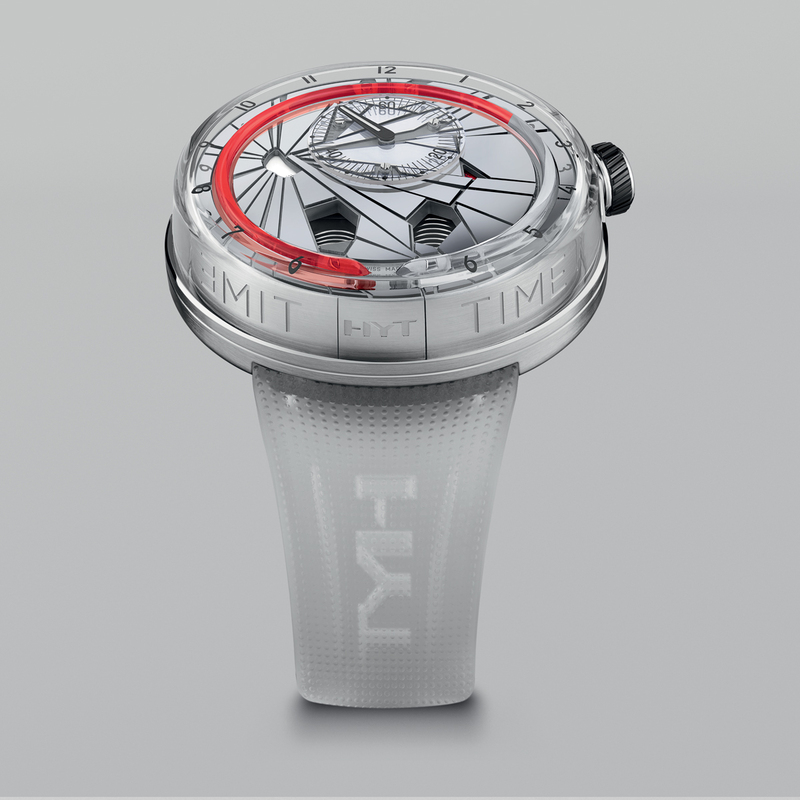 This watch is about light ans fluidity. The crown was moved to the bottom of the case, to liberate its shape from any other details. The watch is marketed as a style object, devoid of formalism. 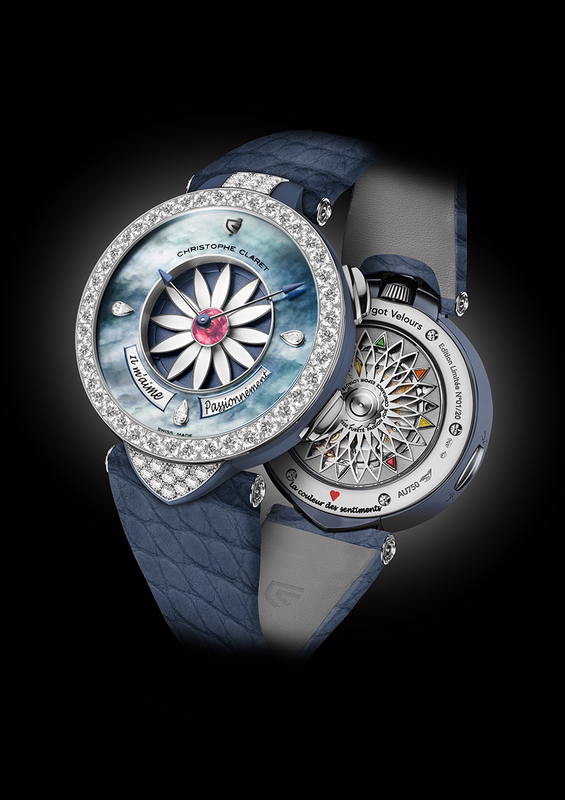 Prices start at 3,000 euros, 7,500 for the steel version with diamonds. Cape Code Chaine d’Ancre – black or white laquered dial and diamonds. Around 9,000 euros. I quite loved the Arceau 78, with minimal design, a sandy dial and a wonderful strap. They are doing hyper horlogerie and living larger than life. This is the corporate discourse, anyway. 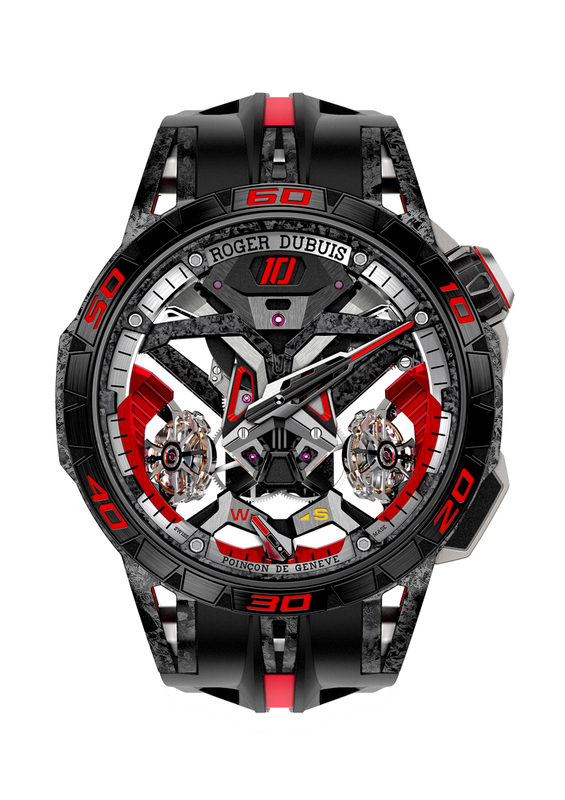 Roger Dubuis is launching a brand new collection – Excalibur Huracan and a new caliber RD630, with a 12 degree tilted single sprung balance, placed at 12 o’clock. This is an automatic movement, shaped like a wheel rim. Titanium case, rubber strap. 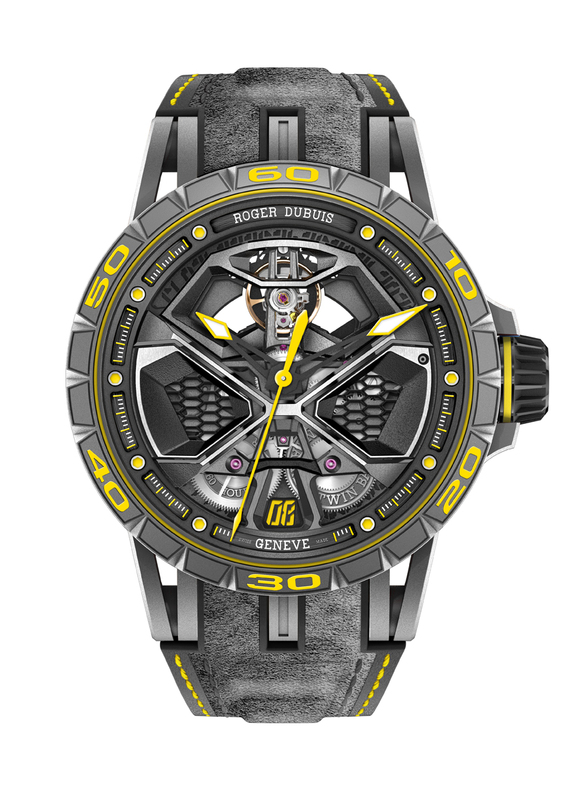 50,000 CHF for the 88-piece limited edition. 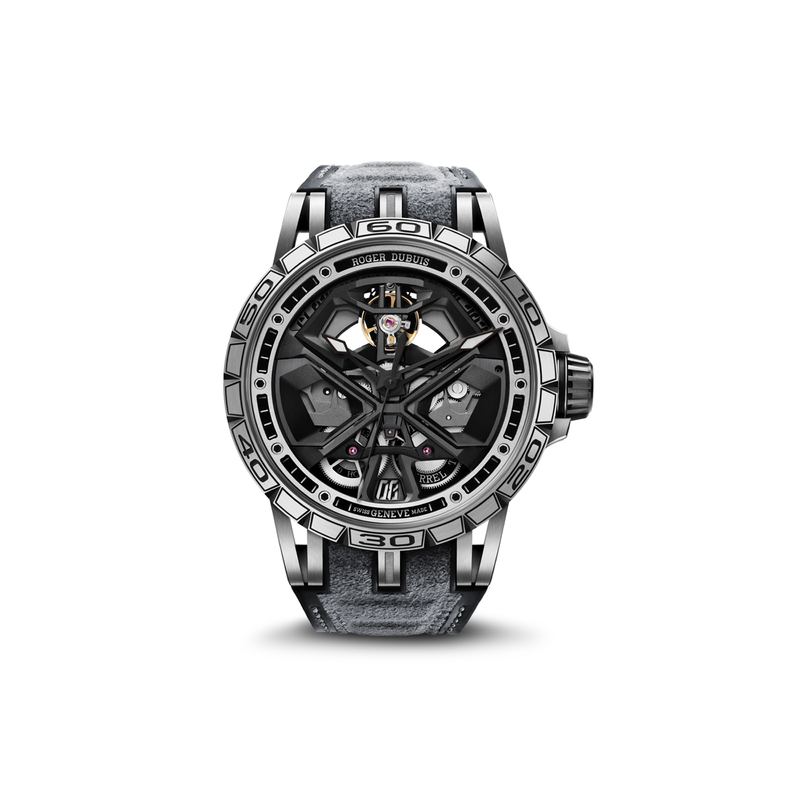 Excalibur One-Off is a unique piece, with a unique and dedicated caliber. 90 degree double flying tourbillon, function selector – a special button that helps the owner switch from one mode to another effortlessly, just like the Lamborghini. Jumping hour indicator – analog and digital time display, just like the Lamborghini, again. Rubber strap inspired by Pirelli technology. Ceramic bezel, liquid ceramic in the digits. 1,063,000 CHF.